I'm linking up with Vicky Books, Biscuits and Tea at for Sunday Showcase where we get to show off all the different books we got this week and Kimberly at The Caffeinated Book Reviewer the to talk about what I got done this week and what I hope to happen next week! 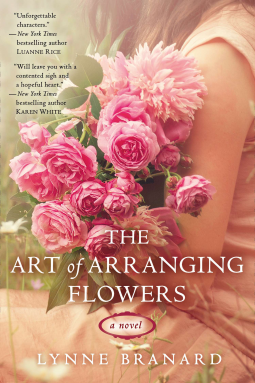 The Art of Arranging Flowers by Lynne Branard - The cover caught my eye and the storyline that involved a gifted florist who is healing and finding herself made it where I couldn't resist! International Night by Mark and Talia Kurlansky - this is a cookbook filled with 250 recipes from all over the world. When my older kids were little we used to do what we called "Country Night" where once a month we'd pick a country and do a 3 course meal using as close to authentic recipes as we could find. It was a lot of fun and this book reminded me of that! Death in the Dolomites by David Wagner - An American banker is murdered in Italy and American translator Rick Montoya is determined to figure out what happened. Mission to Murder by Lynn Cahoon - I really enjoyed the first one in this series and am looking forward to reading the 2nd. The Rise and Fall of Great Powers by Tom Rachman - This is the story of a young woman trying to piece together her mysterious childhood. Really I didn't get much further than the fact that the young woman owns an isolated book store in England when I requested this but luckily the rest of the book looks interesting! 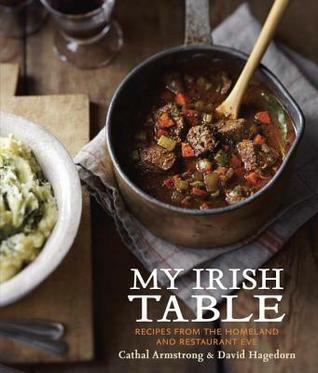 My Irish Table by Cathal Armstrong - I got this for review a few months ago and loved it but I only had it in Kindle form and I much prefer my cookbooks in book form. Plus this is just a gorgeous book. Bobbys Burgers, Fries and Shakes by Bobby Flay - the man knows his way around a burger and this has the best recipe for oven fries I've ever made. Barefoot Contessa At Home and Barefoot Contessa Back to Basics by Ina Garten - Her recipe for Italian Wedding Soup is crazy good. Not sure on these yet. Have had one recipe turn out amazing and another not so much. Death Comes As the End by Agatha Christie - I've got 2 more to go in the 1940s. This was so amazingly different from all of her books that it's very impressive even though it's not my favorite. 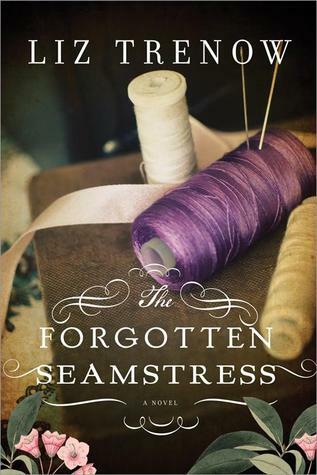 The Forgotten Seamstress by Liz Trenow - So far I'm really enjoying this so far. I love how the author is weaving the past into the present. I'm planning on having the review up tomorrow so look for it! Sparkling Cyanide by Agatha Christie - This is a good Agatha. Looking forward to reading more of it soon. The Garden Plot by Marty Wingate - a new mystery. The review should be up Wednesday. Almost Home by Mariah Stewart - so far liking this better than the 2nd in the series but it's still early. Review up Thursday. This week I'm going to start adding my subscription box reviews to my normal book reviews so keep an eye out for my review of the fabulous MyIreland box! All of your books look delicious, from the one with gorgeous flowers to the tempting Irish book. Enjoy! And thanks for sharing. Thanks for visiting my blog. Enjoy your week. Thank you! I'm really looking forward to The Art of Arranging Flowers and My Irish Table is fantastic! Have a great week! Thanks! I'm really looking forward to giving it a try. Hopefully it will live up to the potential of the cover! Thanks! I'm so looking forward to getting time to read them - or cook out of them! Happy Birthday! Hope it was lovely! Some adorable covers you've got this week. My Irish Table just makes me hungry. Thank you! It was! Everything I've made out of My Irish Table has been amazing. 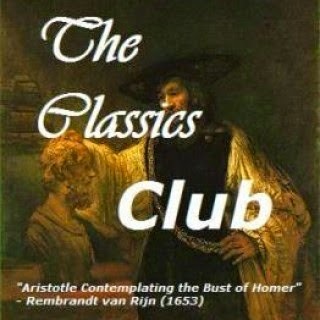 I do adore a good cover! I definitely judge books by their covers and this has been a fairly good week for them! Thanks for visiting! Mmm that looks like a good cookbook. Hope more recipes turn out good. My Irish Table, Bobby Flay and the Barefoot Contessa are pretty sure bets but Martha and I aren't getting along 100%! Hope you had a fabulous birthday and are putting those new cookbooks to good use! Thank you! I did and am! Thanks for visiting! What a great birthday week. So many good books. I have to find out more about the mystery series you're reading. Thanks for visiting my blog. Happy reading! It really was! So far The Garden Plot is pretty good! It's a pretty quick read so hopefully I'll have the full review up Wednesday! Thanks! I love new cookbooks so I'm definitely having a good time with them! Awesome haul. Hope you had an awesome Birthday and enjoy your cook books!! Im Irish and would love My Irish Table :) Enjoy!! Thank you! I'm of Irish descent though the immigration was about 100 years ago. I do like any connection to my roots though! Thanks for visiting! The Art of Arranging Flowers looks so good! The cover is so pretty! I have a copy of that one to read too. :-) I broke my NetGalley ban and requested quite a few books this past week. I must be insane. I hope you had a wonderful birthday (it sounds like it!) and Mother's Day! I make NetGalley bans all the time and it never goes well for me. Sounds like your resolve is better even if you did bend a bit! I've got an insane amount of books yet I keep requesting more. It's really a problem! But at least it's a fun problem! Thank you! I did have a wonderful birthday and Mother's Day! Hope you did too! Oh my gosh! The cookbooks you got! I swear by Martha and I'm always pulling recipes from her website. I keep a three ring binder of recipes. But I totally agree with you on having the book vs. the ebook - I love having the books open in front of me and I hate having to click to bring up the recipe again when my tablet closes the recipe - UGH!!!!! I hate when the tablet closes the recipe and it always seems to happen when my hands are covered in something! I've had pretty good luck with Martha except for this one frosting recipe that just didn't work. I don't know if there was some kind of typo or if it just wasn't my day! 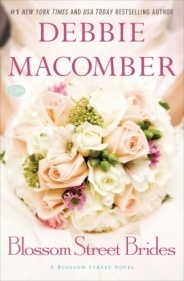 I got The Art of Arranging Flowers as well and can't wait to read it. Me either! I keep thinking about a NetGalley vacation until I can catch up a little bit but then they go and post these kinds of books! I love arranging flowers! Blossom Street Brides looks good! Have a great week and Happy Reading! Thanks! Blossom Street Brides was a good read - not perfect but a fun read. Have a great week!